Dining set comprising of 12 x armchairs and 1 x extending table. Ninix is a fusion of minimal design with maximum quality. The lines of the design are minimalistic whilst ensuring that comfort and refinement is maximised. The stainless steel frame has a hairline finish, while the carefully selected teak wood creates warmth and depth. 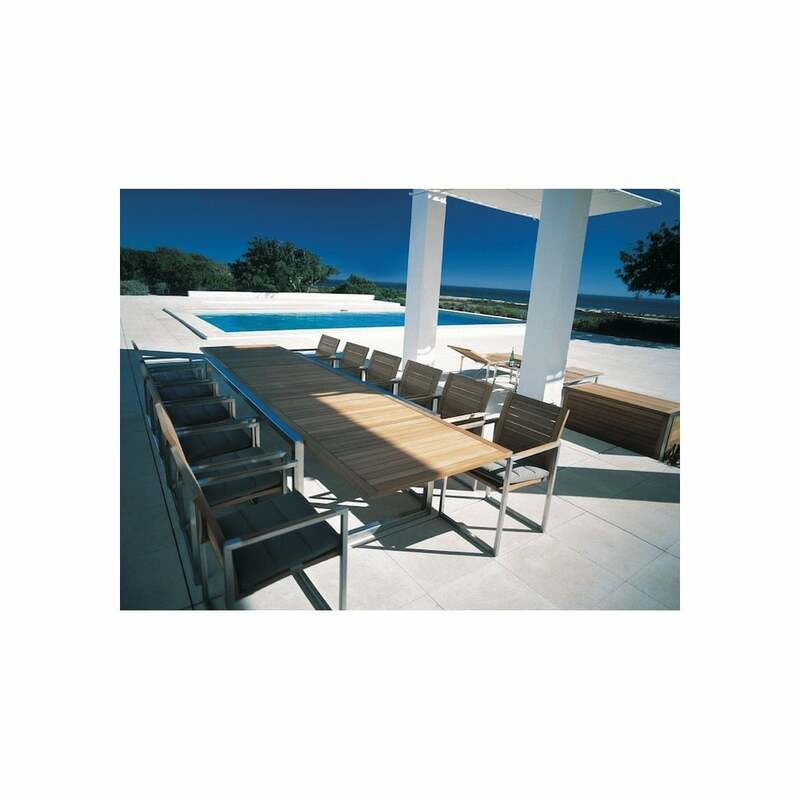 The Ninix outdoor furniture range has been exceptionally popular since the moment it was designed, with its sleek lines and rich contrast between the teak wood or glass and stainless steel. The perfect ergonomic design creates a beautifully elegant outdoor lounge set that includes a low table with co-ordinating chair, useful trolley, storage box and much more… perfect for creating luxurious relaxation spaces both indoors or outdoors. Please contact us for pricing of anything from this range.